There is no better feeling than welcoming in the beginning of the working week with the availability of an array of curated technology deals which are designed to not only save you money, but to also get some wonderful new tech and gadgetry into your life. That’s where we come in so you don’t have to do any of the legwork. Sit back, relax, and enjoy what’s in front of you. Starting off, we are looking at a range of SanDisk memory products available with discounts of up to 25%. 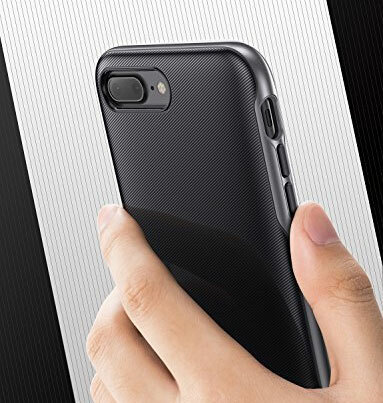 Next up is an iPhone 8 Plus case with military grade protection for just $6. Looking for a massive 20,000mAh portable battery charger / power bank with multiple ports? We have got you covered there as well with one that costs just $32. Last but not the least is a 49-inch 4K+HDR TV from TCL for under $350. As always, make sure you act quickly to grab the product of your choice from the list here as these deals are usually time sensitive and subject to stock levels. Enjoy the savings! It’s probably fair to suggest that almost everyone needs a little bit of additional memory in their lives from time-to-time. 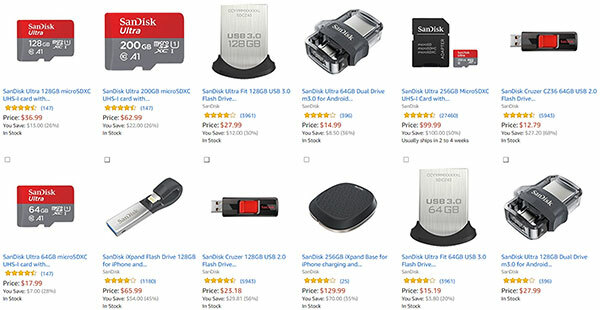 That’s why this deal of the day situation with SanDisk is so impressive. This deal gives you the opportunity to get the type of memory that you actually need for whatever device it is rather than having to be forced to get a discount on just a thumb drive. As always with these types of deals, there are plenty of products of varying capacities to choose from. This deal is valid for today only. If you have taken the opportunity to purchase one of Apple’s gorgeous new all-glass iPhone 8 Plus smartphone, then you are more than likely going to want to protect it with an accompanying case. 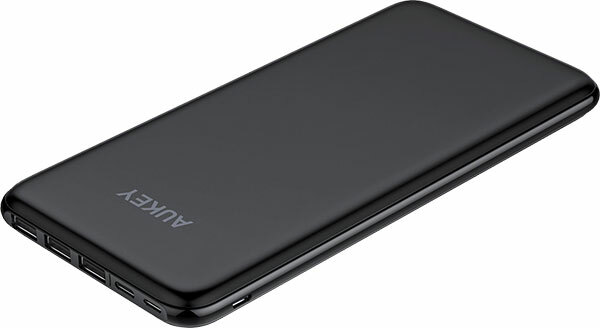 This Anker offering is probably up there with the best that you can get for such a small financial outlay. It not only perfectly wraps the iPhone 8 Plus, but it also comes with military-grade protection and a gorgeous slimline design which doesn’t add much bulk to the device. Best of all you can use the following promo code at checkout to grab the case for as little as $5.99: KRDM1016. Do you often find yourself looking at the big blank space on your living room wall and wondering how you can fill that void using technology? 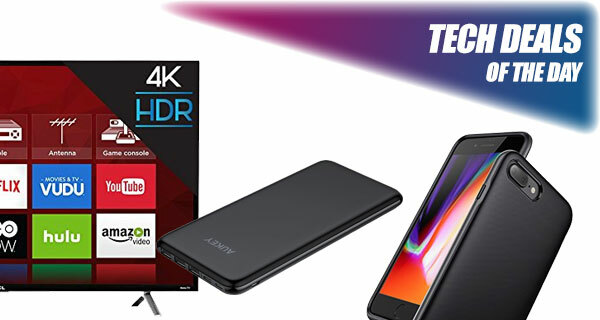 Wonder no more as you can now get your hands on this stunning 49-inch Roku television set which offers 4K+HDR quality and smart functionality, which means that you can get access to an array of additional apps and services without much additional legwork. It’s beautiful and definitely worth the money. If you are going to protect your iPhone 8 Plus with a case, then you may as well invest in a portable battery power bank to ensure that you are never without charge when you are on the move. This one comes with an internal 20,000mAh battery which should be good enough for multiple charges of that smartphone, features multiple input and output ports, as well as slim and light enough to take with you wherever you go. You can grab it for as low as $32 using the following promo code at checkout: AUKEYPY4. Idk how many times I have to say this, TCL is TRASH!!! 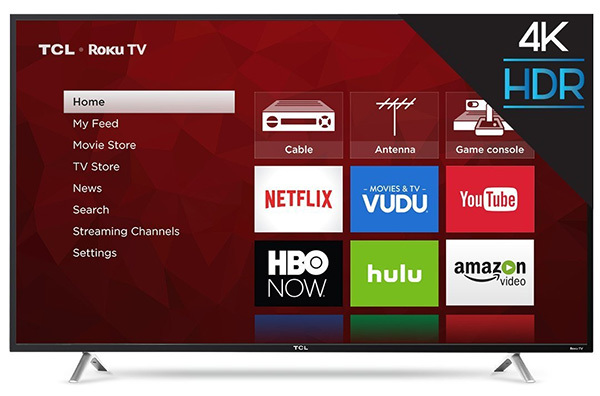 Post a Samsung Sony Vizio or Toshiba brand on sale.